Inspired by professional salons, Braun Silk-expert Intense Pulsed Light (IPL) is clinically tested for visible permanent hair removal. The safest IPL-technology: The distinctive SensoAdapt skin tone sensor always ensures the right light intensity, for the safest, most effective IPL hair removal. 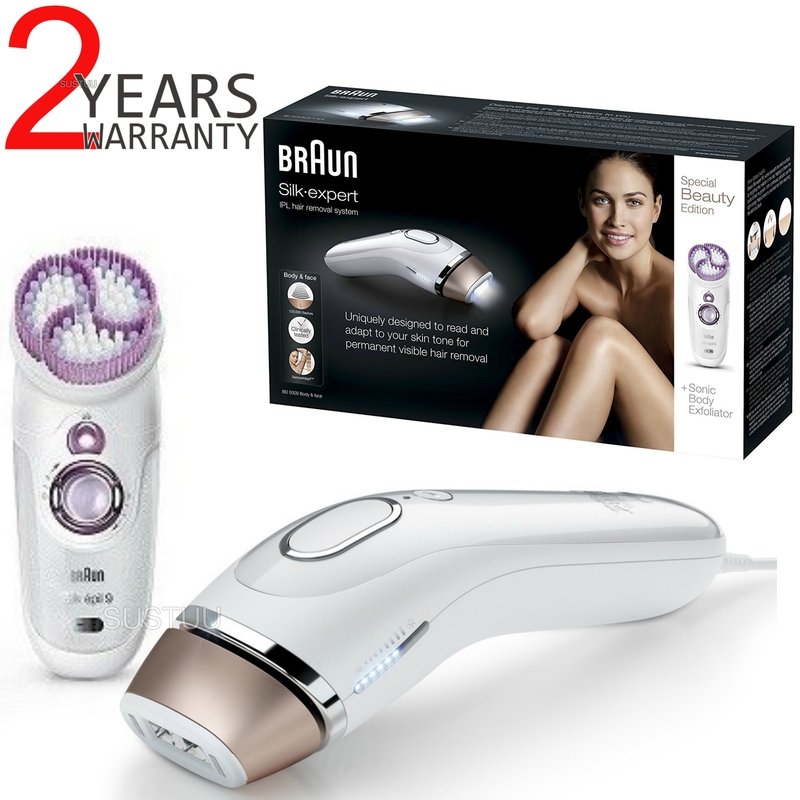 This special Braun Silk-expert beauty edition includes a sonic body exfoliator to gently exfoliate the skin for a silky, smooth feel from head to toe. Have you considered laser hair removal? Then you should take a look at Braun Silk-expert IPL. NOTE: This product comes with a two-pin UK plug. This is suitable for two-pin UK Shaver electrical sockets, which are often found in bathrooms. You may need to purchase a 2 pin to 3 pin adapter if you wish to use in a standard UK 3 pin socket. 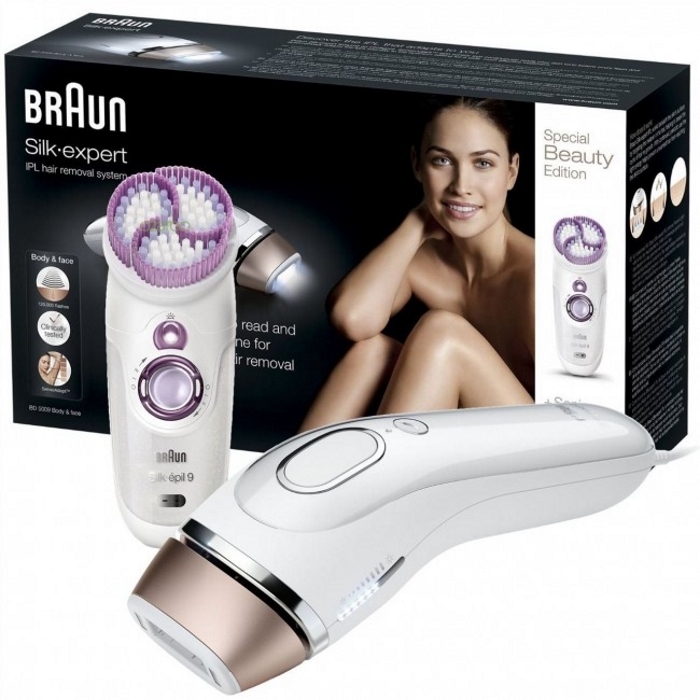 Thisspecial Braun Silk-expert Beauty Edition includes asonic bodyexfoliator to gently exfoliate the skin for a silky, smoothfeel. Thenormal mode gives you the full power and adaptation to your skin toneat any time. In the gentle mode, the Braun Silk-expert adapts todifferent skin tones as fast and accurately as in normal mode– just ona lower energy level. 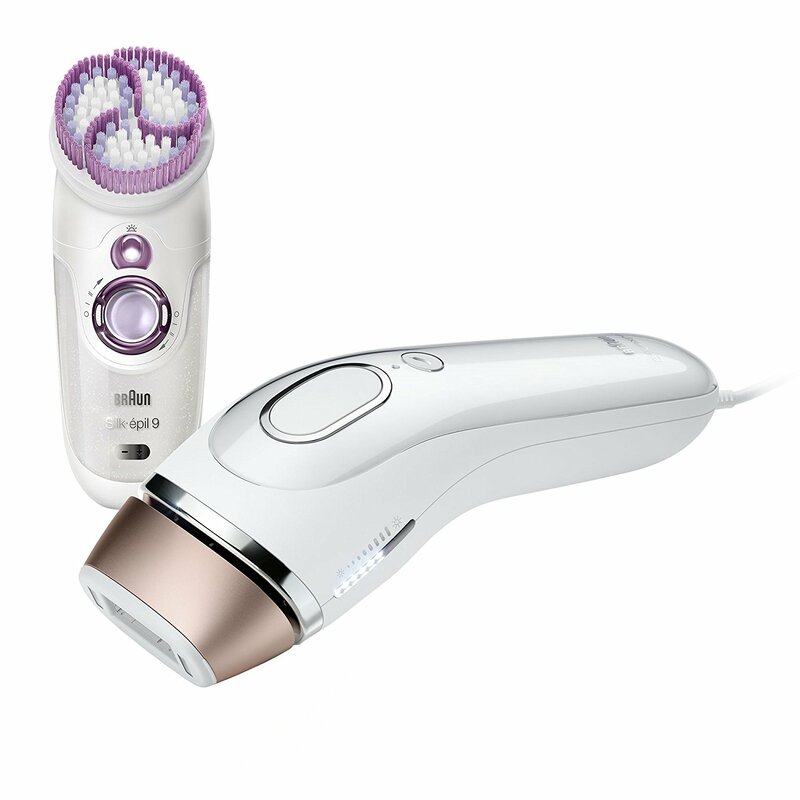 In the extra gentle mode, the Braun Silk-expertreduces the energy level to the minimum for maintenance phase,beginners or sensitive areas. The300.000 flashes deliver an equivalent of 15 years of full bodytreatments. Skintone varies across different parts of the body. The uniqueSensoAdapt™skin tone sensor continuously reads your skin tone – 80x persecond –and automatically adapts the light intensity for best efficacy andsafety. Fora fast and efficient IPL treatment, use gliding mode to trigger moreflashes and fewer missed areas. BraunSilk-expert 5 IPL provides fast treatments suitable for large bodyparts such as legs or arms. A leg or arm can be treated in just 8minutes, without compromising on effectiveness. Derivedfrom professional light technology, Braun Silk-expert 5 IPL isclinically tested for safe and effective use at home. Theexfoliation brush removes dead skin cells thanks to its massagingmicro-vibrations that visibly improve skin's appearance by exfoliatingit 4x better than a manual treatment alone.